Participants will compare and contrast differences of Creo 4.0 to previous releases such as Creo 2.0, Wildfire 5.0, and/or earlier Pro/ENGINEER versions. There has been a great deal added to Creo that your team may have missed over the years since Wildfire 2.0 or previous that your instructor may present in this class that can significantly benefit your team performance. Not just whats new in the latest release. Design Engine is flexible and we often customize our training upon student manufacturing interests or job requirements. Always ask to speak to an instructor before coming to class. General knowledge of Learn Creo Level 1 or time with Creo. This and all Design-Engine courses are offered onsite at your facility also. Call to speak to an account manager to arrange a class 312.226.8339 today. 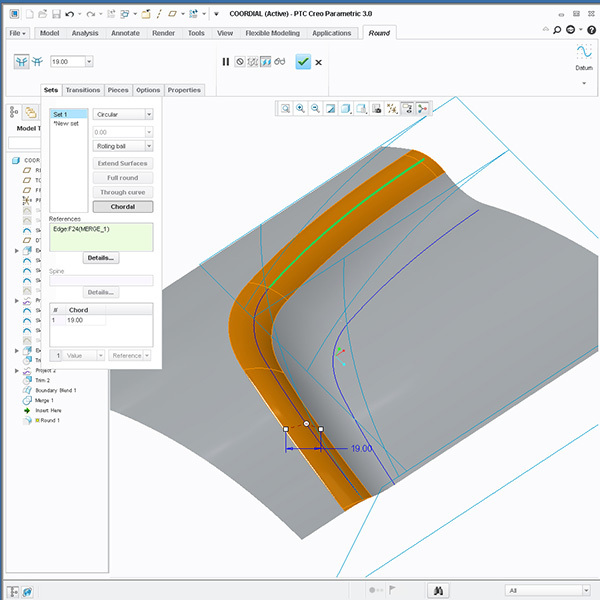 General interface differences and highlight changes with the new release of Creo. Insert Mode. Create complex relations. Simplified Reps in both Part mode and Assembly mode. Learn to exist within Failure Mode and utilize Insert Mode. Work with Complex Sweeps and Blends i.e. maintain Draft in Sweeps. Copy Paste & Copy Paste Special. Manage ‘Warp’ functionality with new Warp Functions. Overview of new Assembly functions. Overview of Top Down tools and discuss differences. New Fasteners in Creo 4.0. Opening and Orienting Design Models. Navigator, Folder Browser, and integrated Web Browser. Techniques for selecting Components, Features, and Geometry. Editing Feature Definition using the Dashboard. Datum Tools: Axis, Plane, Points, and Coordinate Systems. Datum Curves: Project, Wrap, and Intersect. Editing Surfaces: Copy, Move, Offset, Mirror, Merge, and Trim. Creating Solids from Surfaces: Thicken and Solidify. Editing Features: Pattern and Fill Pattern. Managing design models: creating Cross Sections, Relations, and Parameters Interface. Layers and the Layer Tree. Rendering with Mental Ray in Creo. Using the Web Browser for Feature and Model information. View Manager: Simplified Reps, Style Reps, Symbolic Reps, Explode States, and Saved Orientations. Flexible Components and Component Interfaces. 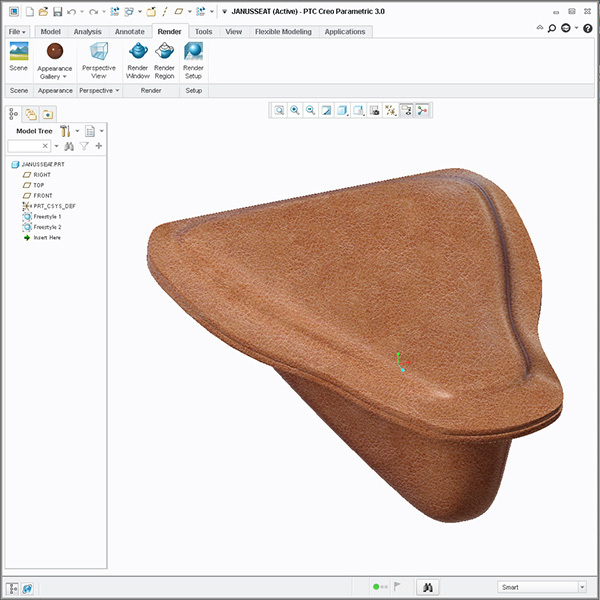 Discover the Freestyle tool: Sub Divisional modeling inside of Creo 4.0. Detailing enhancements with respect to the latest ANSI standards. What’s new in Sheet Metal. Discuss how Creo tools and functions have matured over the years ,and how they may evolve in the future. 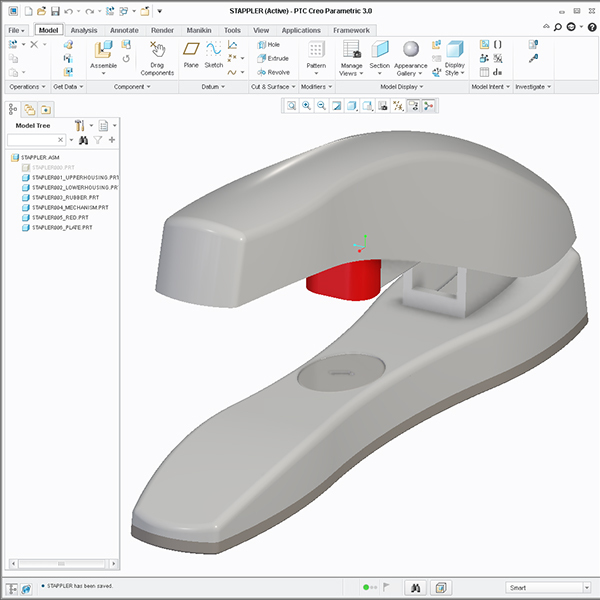 Discuss how other manufactures use top down design with new releases of Creo. Compare and contrast User interface, workflow and functions of Creo 4.0 to earlier versions of Creo. Compare Freestyle with earlier releases of Creo. Updating and customizing Creo 3.0 or Creo 4.0 user interface. Discuss new ways to edit references. What’s new in Creo 3.0 or Creo 4.0 Sheet Metal. Use 3D thickness checking tools. This class is a serious refresher for Creo 3.0 or Creo 4.0 and what’s new functionality-wise, plus what’s new in the user interface. This Creo Update training course is developed not for new users, but for those who are already familiar with Pro/ENGINEER or Creo previous releases, and for those who want to become proficient fast, so to leverage new tools inside of this powerful tool set. We help you learn Creo, not read to you from an exercise book. In this course, we help design engineers learn how to make changes quickly to set them up for becoming expert faster. As with all Design-Engine classes participants keep the training material logins and passwords for life.